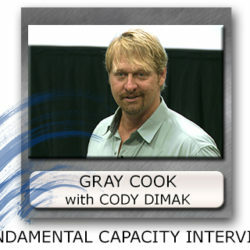 In this interview Functional Movement Screen creator Gray Cook discusses his new Fundamental Capacity Screen with Cody Dimak. The 2012 International Federation of Orthopaedic Manipulative Physical Therapists Conference was held in Quebec in October 2012. Gray Cook was a keynote speaker.